We ended up with a large cucumber, two pickling cucumbers, and a medium cucumber in our last CSA. 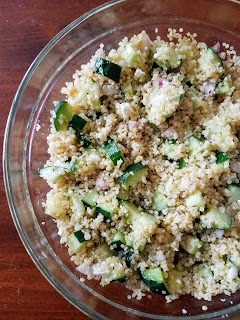 The large cucumber went into a Greek Salad with Avocado when friends visited for game night. The smaller pickling cucumbers ended up in an attempt at refrigerator pickling. And the medium cucumber was reserved for this simple chilled salad recipe. 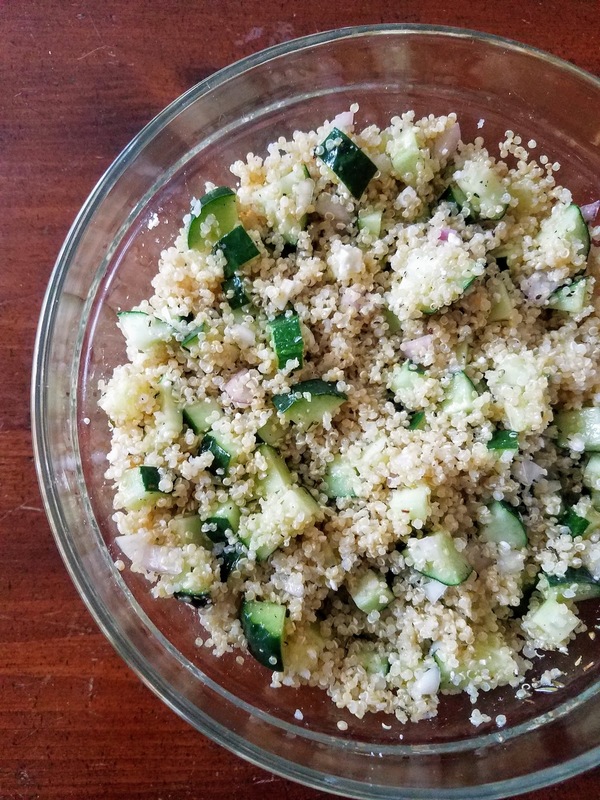 My grocery store has steamable bags of quinoa, I heated one up the night before I made this and then kept it in the fridge until I was ready to put the salad together. 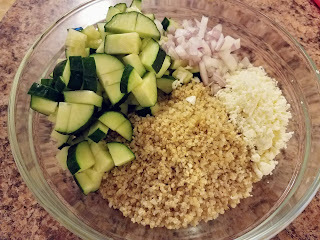 Aside from the time to cook the quinoa putting this together is super easy and doesn't take much effort at all. I'm looking forward to getting our next basket tomorrow although I expect more cucumbers since the farmer is having a bumper crop. Recipe slightly adapted from Gimme Some Oven. 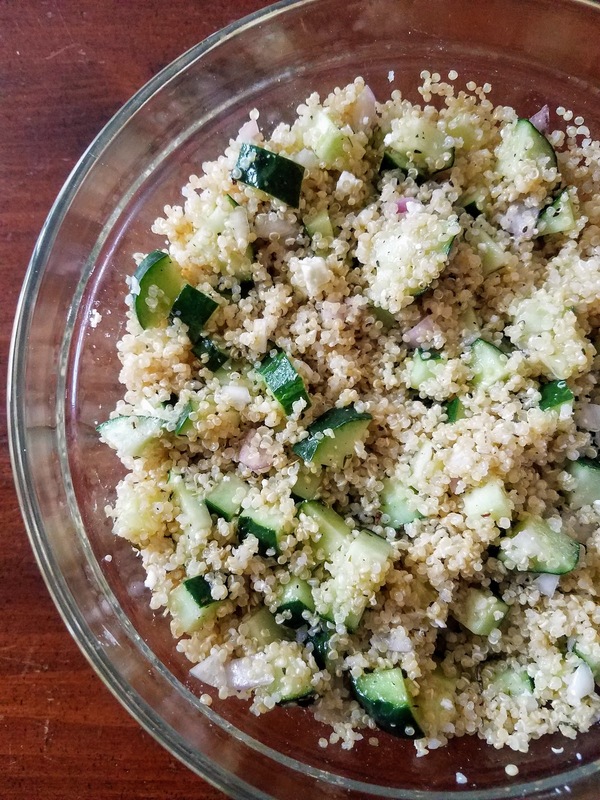 Combine the diced cucumber, quinoa, shallot, and feta cheese in a large bowl. In a smaller bowl whisk together the olive oil, apple cider vinegar, lemon juice, and seasoning. 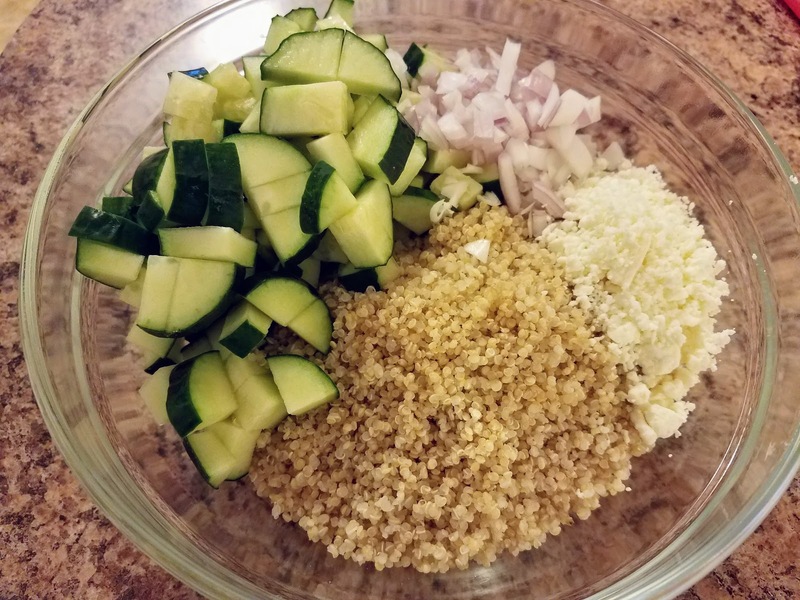 Pour the dressing over the quinoa and toss to combine the dressing with all of the ingredients.